Where others see a challenge, Atalya Morgan sees an opportunity. As a recipient of the Liberty Partnerships Dr. Lee Scholarship, her persistence and grit encapsulate what the award aims to foster in students. Atalya grew up in a single-parent home with four brothers and an absent, often unreliable father. As someone who values speaking her mind, Atalya felt immense pressure to get through to him. 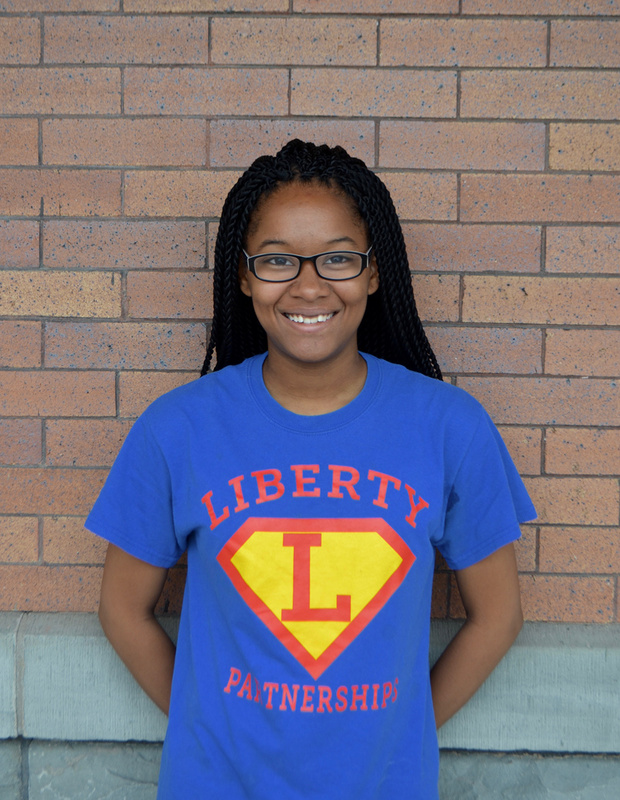 She turned to her Liberty Partnerships counselor Mr. Willie Fann, who asked her to think about what she couldn’t change, and what she could. This revelation shaped how Atalya began navigating obstacles, and gave her power where she had felt powerless. Atalya says getting involved with Liberty Partnerships also expanded her idea of community, and pushed her to defy stereotypes around her age group. Atalya doesn’t just help those in the greater community–she helps her classmates, too. As an allstar in chemistry and math, she enjoyed helping her friends with the subjects. She taught them the information they didn’t understand, and in turn, they helped her study subjects she struggled with, too. Chemistry is the study of matter and how it interacts to reveal more about the world, which seems a fitting favorite subject for someone with such a sophisticated grasp on balance–especially when it comes to school. And Atalya certainly put a lot in. She never doubted her commitment to getting an education, and says her friends knew better than to pressure out of studying. Going to college isn’t just a goal– it’s a milestone. When Atayla gets her degree, she could be the first of her siblings to graduate college. This fall, Atalya will attend Albany College of Pharmacy and Health Sciences in the Doctor of Pharmacy program. She says getting the Dr. Lee scholarship validated the work it took to get there. “It was honestly a surprise to me. I know that I always worked hard, but I didn’t know that people in the community were also watching and looking at what I’m doing in school,” she says. Atalya Morgan doesn’t let struggles jeopardize her growth, her education or her commitment to helping others. Instead, she uses each difficult moment as a chance to reflect on her agency and accept what she cannot control. Her ability to speak her mind and take pride in her intelligence encourages others to do the same, and the value of this contagious confidence cannot be understated.